It’s hot outside. Like pierce-you-to-your-very-bones hot. The heat is intense, and it seems like it takes forever to cool down…even once you’re safe inside. Plus, I’m super tired of walking into work at 8:00am looking like I just ran a half-marathon. But just when I think summers in Texas are the worst…I smell watermelon. Freshly cut watermelon has amazing redemptive powers. One smell and “summer” is no longer a dirty word. Summer becomes this glistening season, filled with long sunny days and incredibly sweet delicious foods. So wonderfully cool and refreshing, I forget how much I hate this crazy 100-degree weather. 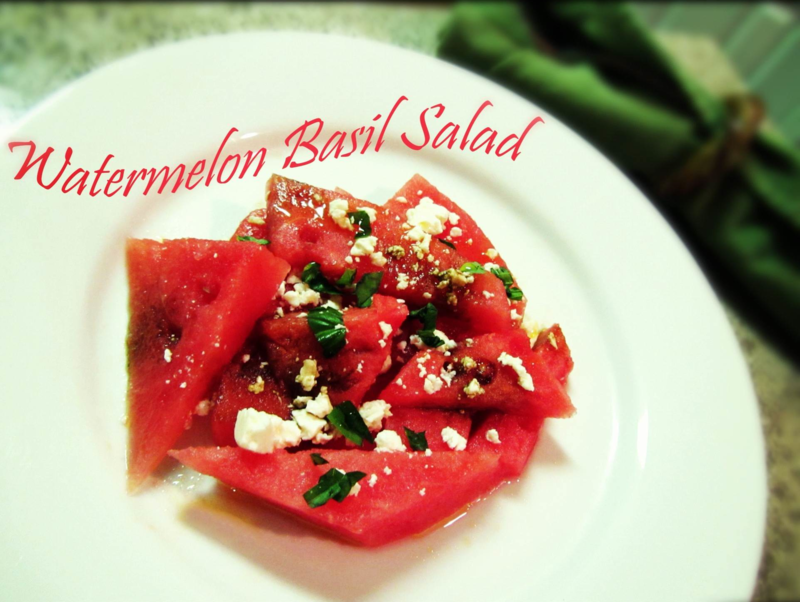 Combine watermelon, feta cheese, and basil in a large bowl. Add lime juice and olive oil over the watermelon mixture and toss gently to coat.